When you make a donation to Central Berkshire Habitat for Humanity, your gift makes a long-term impact. Each donation that builds a Habitat home multiplies as the homeowner mortgage payments get recycled to build more affordable houses. Central Berkshire Habitat for Humanity has a proven track record of wise building investments, well-equipped families for homeownership, and strong financial viability. Builder’s Circle is Central Berkshire Habitat’s leadership giving society for individuals who invest $1,000 or more during the year. Carpenter's Club Join by making a monthly gift to Habitat. Sustained monthly donations keep us building all year long. Restaurant Partners. You don't have to swing a hammer to help Habitat. 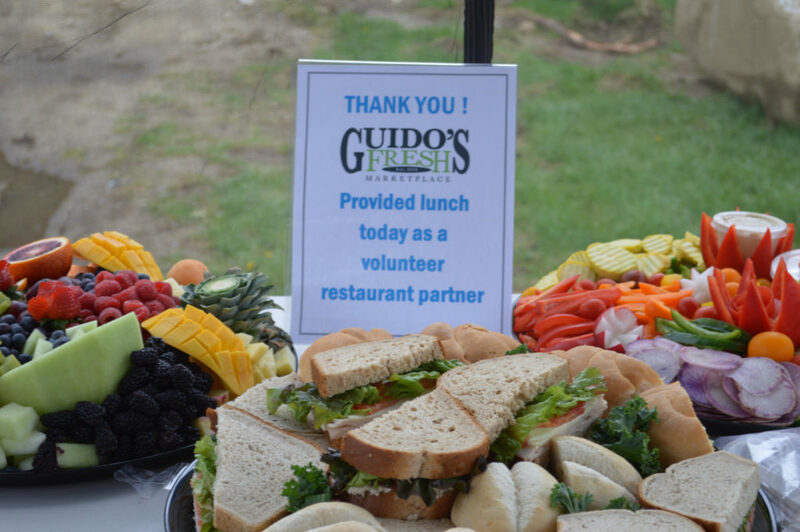 As a Habitat Restaurant Partner, you or your business will become a sustaining member of one of our programs while helping your restaurant gain local exposure. Volunteers allow Habitat homes to be affordable for their owners. Whether you donate meals once a year, once a season, or every month, you are building a better community for all. Your gift-in-kind donation is tax-deductible, and you will receive a receipt for your business. As the need for affordable housing continues to grow, securing land for homes for the families on our waiting list becomes more challenging. You can help create affordable housing in our community by contacting us if you know of an available property or are interested in donating your land or home that could be rehabbed into a new Habitat home. Email DGiftos@berkshirehabitat.org or call 413.442.3181 for more information. From project sponsorship to employee build days, your company can help build strength, stability and self-reliance with families building a strong future. Project sponsorship is the perfect way for your company, school, foundation, faith group or club to support Habitat’s home building program. 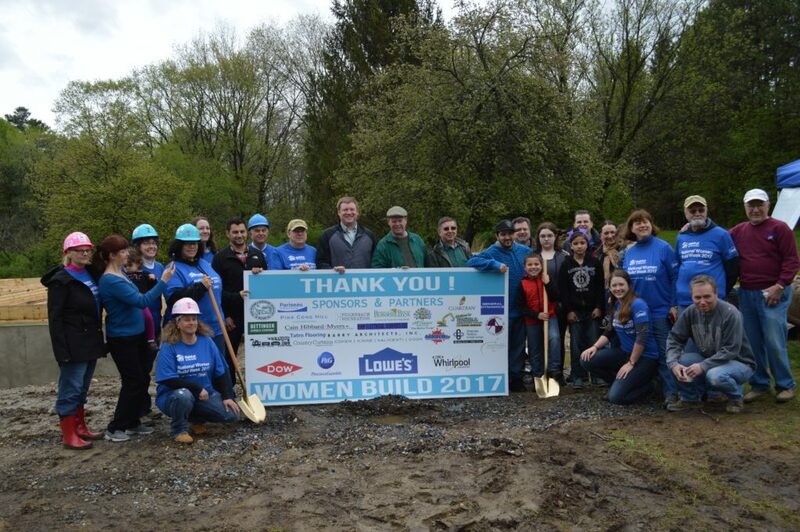 Your sponsorship will go directly toward our project construction costs, helping to build or rehabilitate affordable homes and strengthen neighborhoods in the Berkshires. Double or triple your gift! Many employers will match tax-deductible charitable contributions made by their employees, retirees and employees’ spouses, and some companies provide matching funds to support employee volunteer hours. By aligning your company with Habitat’s mission and vision, you demonstrate your company’s investment in the community. Do you have a car, truck, motorcycle, motor home or boat on a trailer taking up valuable space in your driveway? Your vehicle donation will help Habitat for Humanity build homes in partnership with families in our community. It is quick and easy to donate cars, trucks, boats, RV’s, motorcycles, construction equipment and other vehicles… running or not! For more information about Cars for Homes™, Habitat’s official car donation program, visit carsforhomes.org. To donate a car, truck, boat or RV to Cars for Homes™, call (877) 277-4344 toll free or donate online.